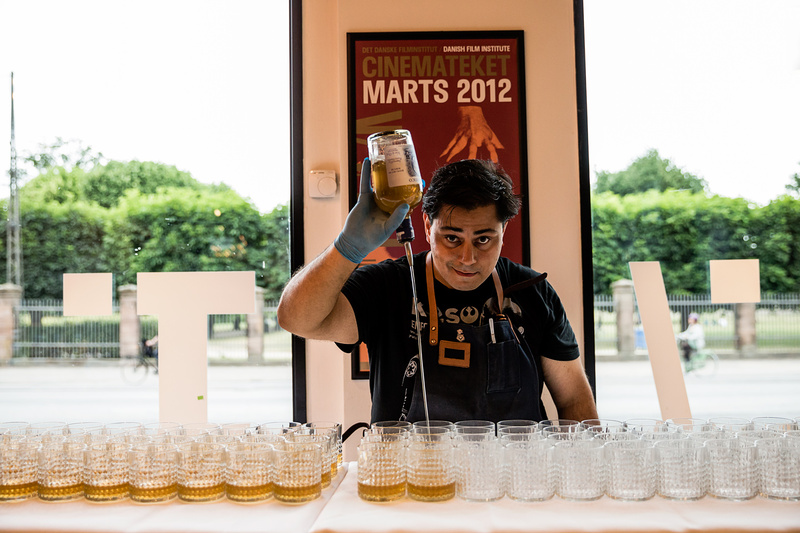 Cinematheque (Cinematekket) that houses The Danish Film Institute in central Copenhagen hosts Edible Cinema featuring the French post-apocalyptic new classic Delicatessen.Edible Cinema is a unique way to experience a film: through aroma, texture and taste. Each guest is supplied with a tray of numbered mystery boxes containing a bite-sized tasting menu tailored to specific moments in the film. Flavorist Christian Tang designed the welcome drink for the event.